Will Ramirez grew up with a love for God’s Word and fantastical worlds. The first passion led him to pastor Calvary Chapel Lighthouse for the last 16 years. The second led him to create the world of Adme, the setting for his current work, an epic fantasy titled Soul Yearning. He lives in Central Florida with his bride of sixteen years and their four children. 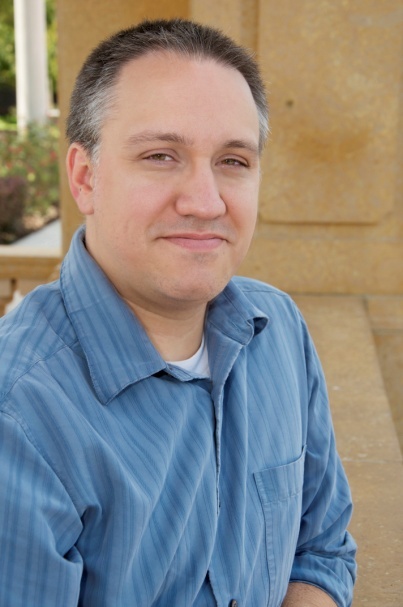 Since 2010, he’s been a member of the American Christian Fiction Writers and serves on the leadership team for Word Weavers of Orlando. He also blogs every Sunday about his writing journey at New Author’s Fellowship. You can also find Will on his personal blog, Forever More. He is currently seeking representation for Soul Yearning, which won Novel of the Year at the 2012 Florida Christian Writer’s Conference. Sometimes God calls us to stand alone, but even then we are not alone. Elijah thought he was the only one taking a stand for the Lord and he found out later on there were 700 others who were faithfully following the Lord. In Chapter 2 and 3 of Numbers, the Lord outlines the places where each tribe was to march and camp, as well as the various duties of the Levites in assisting Aaron. It’s not exactly an exciting read, but one thing stood out to me as I went through it the last few days. Each tribe or family had distinct tasks God gave them to do, yet no one did those tasks alone. While Judah’s standard led the march and was the symbol which stood high in the east side of Israel’s camp, it was not Judah alone that did so. They were joined by Issachar and Zebulun. Even though Aaron and his sons led in the ministry of the Tabernacle, each of the three families of Levi were responsible for making the ministry work properly. In our walk with the Lord and however we might be called to serve Him, the Lord didn’t design us to be alone. I’ve learned that in ministry, work, and most recently my writing career. Since I became serious about writing two years ago, I’ve met so many wonderful brothers and sisters in Christ who have come alongside to challenge, encourage, and help me. Whether from Word Weavers, ACFW, or conferences, I’ve been so blessed with the relationships that God has brought into my life. I would not be close to what I am as a writer without them. I am so grateful for the friends that God has placed into my life who love me, challenge me, rebuke me, cry with me, and comfort me. And ultimately, I am thankful for my Jesus, the friend who sticks closer than a brother (Proverbs 18:24). Have you thanked the Lord lately for the friends God has brought into your life and for the friendship of His own dear Son? Are you making sure you’re not walking this Christian life alone, but have brought others into it with you (Hebrews 10:24-25)?